Today we’re announcing a complete redesign of the Driver app. Drivers are the heart of our service. But along the way, we lost sight of that. We focused too much on growth and not enough on the people who made that growth possible. We called drivers “partners,” but didn’t always act like it. We needed to do better, and 180 Days of Change was the first step. Over six months, we launched nearly 40 new features designed to improve the driving experience. But our work was just getting started. While 180 Days was about correcting missteps of the past, we also needed to think longer term, and the obvious place to start was the Driver app. It sits at the center of the driver experience, but after a redesign two years ago, it was already showing its age. We knew we couldn’t take the approach we’d taken in the past: redesign the app based on what we thought drivers wanted, launch it, then hope for the best. Instead we needed to listen to what drivers told us they needed, and shape the new app alongside them. After months of conversation and interviews, we launched a Beta version of the app with drivers around the world. We also created a program to gather every piece of feedback any way we could: ride-alongs with members of our team and lunch meetups with other drivers. We even communicated directly with drivers on a one-to-one basis over text. Drivers were generous with their feedback. Their opinions shaped the app for the better. They used features in ways we never expected and offered insights on how to improve their experience. Four months later, after over 100,000 trips, thousands of conversations, and many bugs reported (and fixed! 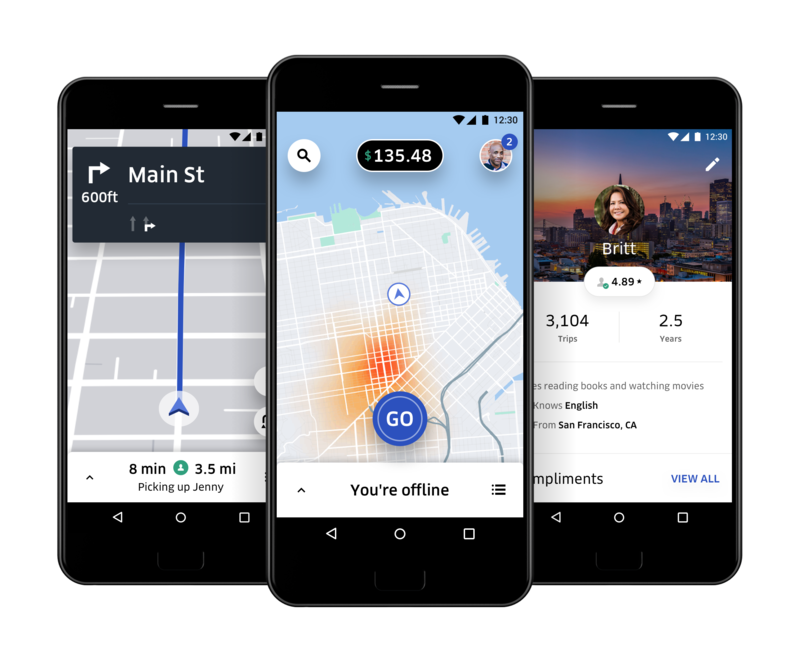 ), we’re excited to share the product of our partnership: a new app built for drivers, with drivers一designed to meet their needs on every moment of their journey. At the top of the screen sits a new real-time Earnings Tracker. It lets drivers know—at a glance—how much they earned on their last trip, and makes it easy to track progress toward their goals. The new Status Bar provides real-time updates on market conditions around them and opportunities for more trips nearby. When a driver taps an opportunity, the app will provide optional navigation to the recommended area. 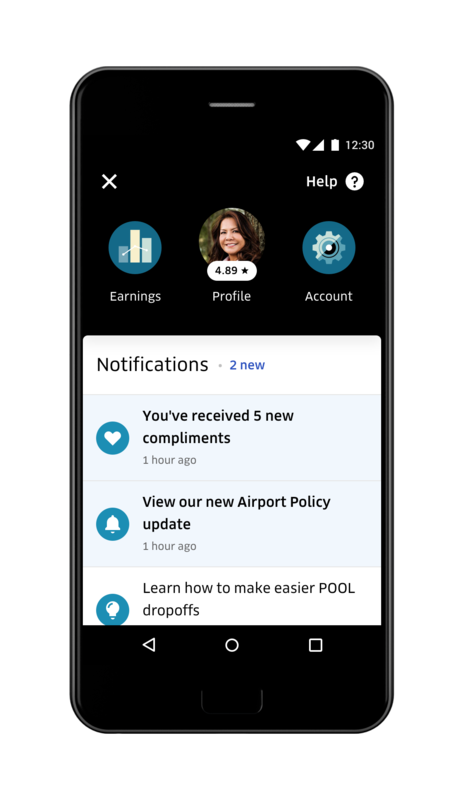 The Notifications feature lets drivers see messages about upcoming earning opportunities, feedback from their riders, and information about their account. The Driver Profile gives drivers the opportunity to showcase themselves, and allows riders to learn more about their driver and find new ways to connect. I’ve driven with the new app myself, so I know the experience can be a bit intimidating一whether it’s your first trip or your 100th. 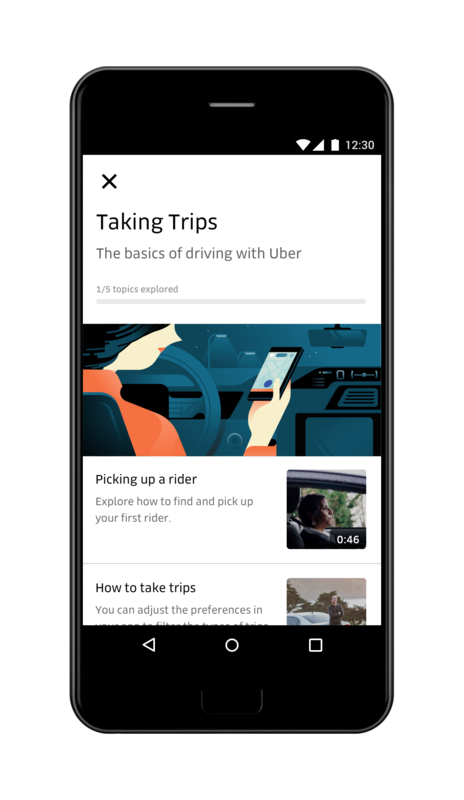 We set out to make things a little smoother with Driver App Basics, a comprehensive guide to getting started with Uber that will be available to drivers in the coming months. These are just a few highlights from the new Driver app, and the journey is only beginning. Going forward, we’ll work to make driving a little easier and a little less stressful. To make sure all our drivers are not only heard, but listened to. And to create inspiring products that set drivers up for success, every step of the way.